When people ask how criminals get their hands on guns, we know what they want to hear is a story that will justify some new gun law. At least, that’s the way things generally go in such discussion. If they’re not rabidly anti-gun, they’re hoping they’ll hear a way that will let them stop criminals from getting guns without impacting law-abiding gun owners. Unfortunately, that’s fairly rare. Yet if people want to know how criminals get guns, they only have to look at people like this. Ricky Hatchet, 25, bought the guns from an unlicensed individual in a Bloomington on three separate occasions in 2015, according to the United States Attorney’s Office for the Norther District of Illinois. Let’s look at how this happened. We have a straw purchase (which is illegal), false information being used on a Form 4473 (also illegal), and transporting guns across state lines for the purposes of selling them (which is, you guessed it, illegal). Pretty much every rule designed to stop this kind of behavior was broken, and this doesn’t even touch on the Illinois laws broken with these sales. In other words, despite numerous laws designed to prevent criminals from getting their hands on firearms, they still got them. It’s almost like gun laws don’t actually stop criminals from breaking the law to get their hands on guns. Shocking, right? It’s like you just can’t find a law-abiding criminal these days. This is how I know the gun grabbers won’t stop until they figure out how to ban guns completely. Because that’s about the only way you’re going to stop these kinds of transactions from happening. It won’t stop criminals from getting guns, mind you, but it’ll stop this particular path for them getting guns. The number of laws Hatch broke in this scheme tells you that so long as people can legally acquire guns, there will be people who break the law in order to get them for nefarious purposes. As we’ve seen in places like the U.K. and Australia, even gun bans don’t even stop criminals from getting the guns. Instead, it makes more sense to empower the law-abiding. Allow people to own guns, buy them as they wish, and make it too risky to engage in violent crime. If you do that, then it won’t matter if criminals have guns or not. After all, if they’re afraid to use them, it’s the same thing as them not having them in the first place. Tom Knighton is a Navy veteran, a former newspaperman, a novelist, and a blogger and lifetime shooter. He lives with his family in Southwest Georgia. Sites like Wix, Weebly and Squarespace make drag-and-drop website creation a breeze, while Shopify and Woocommerce let you pop up a web store during your lunch break. Easy app creation has lagged a bit behind in this field, but that has changed dramatically over the course of the last few years. You can now use a range of sites to whip up an app in no time, without having extensive computer skills, and we’ll take a look at five of those sites below. Of course, the kind of apps you get from these tools tend to be on the relatively simple side. You’ll still need to be able to code or hire an app-development company to create more complex apps and games. But for simple form- or information-based apps, these services will do just fine. Specifically, you’ll be able to create an app that might not make you millions, but they will add value to existing businesses or websites. If you have a content-based site or an online store, for example, you can create an app that lets people shop more easily or sort through your articles with a press of the screen. Before we get on to comparing the services you can use to create your own app, you’ll need credentials as an app publisher, so that you can distribute and/or sell your creations. To be able to distribute apps made for Android through the Google Play store, you need to sign in here with your Google account, accept the terms and pay a $25 registration fee. To become an app seller for the iOS platform through the iTunes store, you’ll need to head here, pay a $99 annual fee and sign in using your Apple credentials. After those initial fees, both Google and Apple take 30 percent of sales once your app is published. AppyPie. The tagline for this web-based app builder is: “Make an app, easy as pie.” Say what you will about the slogan, but it’s accurate; you really can whip up an app on this site without too many clicks, or design knowledge. You start by choosing your app’s category, and then a basic layout. 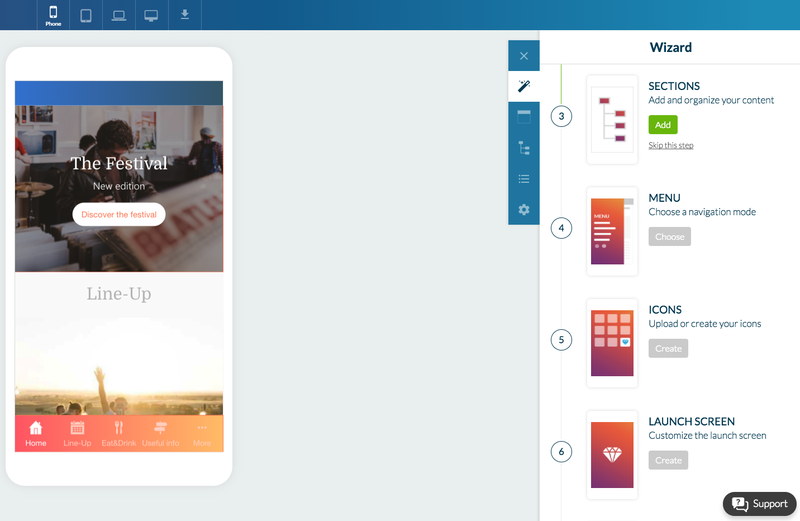 Then, by clicking through a demo of the app on a sample on-screen phone, you can adjust text, and add pages, colors, photos, media, links and more. 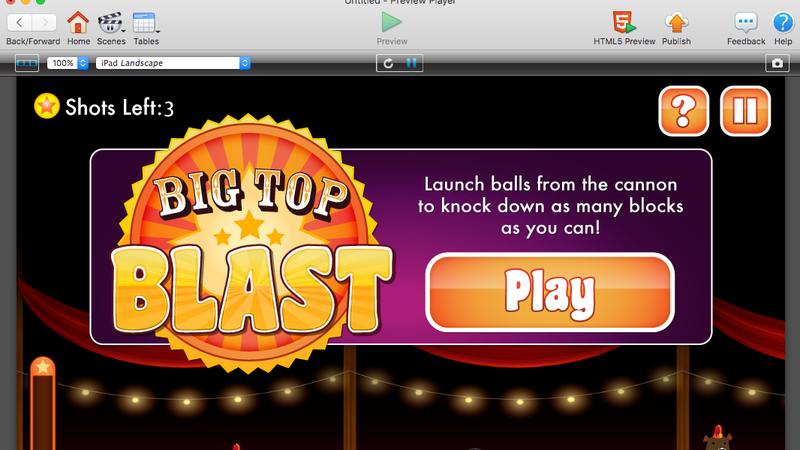 You have pretty robust control over the flow and architecture of the app, and the site is extremely responsive. Pricing ranges from a free plan that embeds AppyPie advertising in your app and only lets you tweak your creation for 48 hours, to $15, $30 and $50 monthly plans that offer unlimited app editing and stepped-up platform distribution. The $15 plan, for instance, allows you to build apps for Android only, while the $50 plan will cover all the major platforms including Microsoft and Apple. AppMakr. 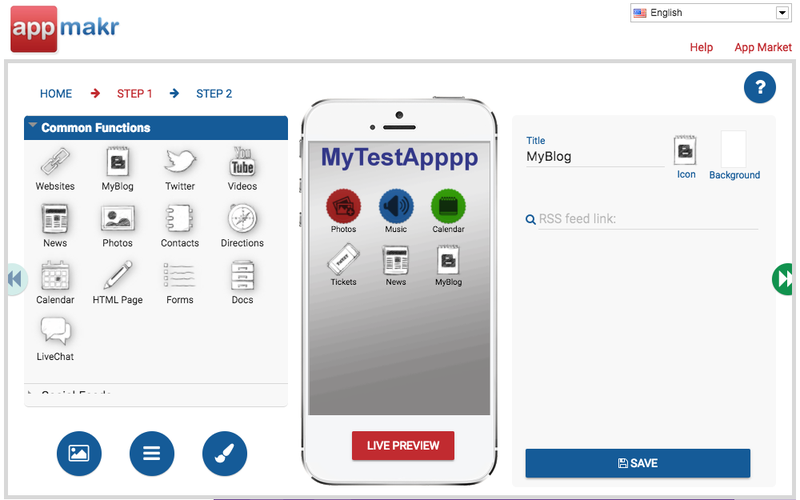 With a decidedly less-slick interface than AppyPie, AppMakr is nonetheless easy to use. It excels in making icon-based apps. Just like AppyPie, you’re given a mock-up of a smartphone and you’re able to drag icons directly onto its face from a menu of choices at the right. Unlike AppyPie however, apps built through this tool are better at linking to content rather than providing native content. Drag the “blog” icon over for example, and you’ll be asked to enter your blog’s RSS feed address. Same for the “news” function. But if you have an existing blog or website, this provides an easy way to take it mobile. You can also change the look of each icon and customize the background image. Changes to architecture, however, aren’t as robust as they are with AppyPie. 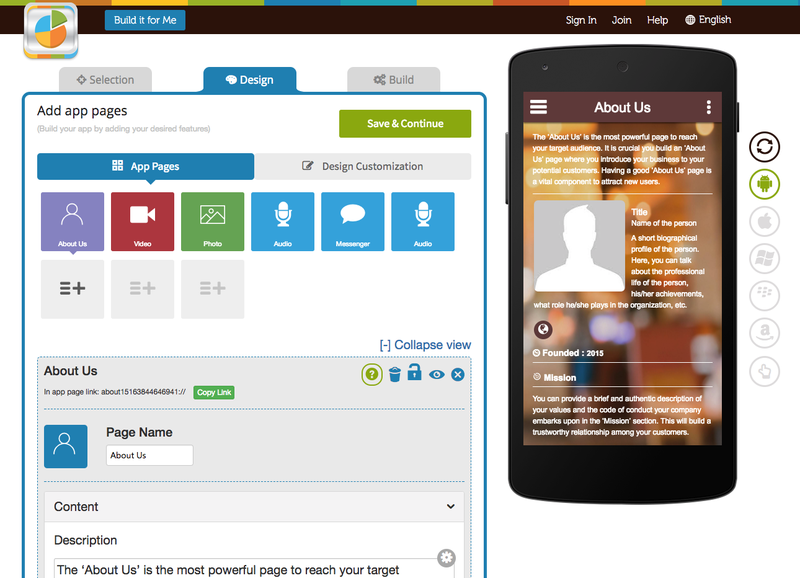 Using the free version of AppMakr will let you create an ad-free mobile website. Two dollars per month lets you develop an Android-only app with AppMakr branding; $39 per month lets you create up to ten Android apps with no branding and lets you publish your app wherever you’d like, as you get the source code; and $99 per year lets you publish an Android app in the Google Play store or an iOS app on iTunes with no branding. While AppInstitute is generally well-regarded, in our testing we did find that it was slow to respond, often glitchy and a bit counterintuitive in terms of customizing your app. Still, there are good videos and a live chat service that can help you get rolling fairly quickly. This service is also by far the most expensive we tested, with monthly plans ranging from $40 to $115 per month. In order to publish an Android-friendly app, you’ll need to shell out $70 per month, with the $115 price point gaining you access to an iOS version of your app as well. GoodBarber. Despite its strange name, GoodBarber is a solid choice for online app building. It puts the smartphone mock-up front and center in its design ontology, so you can click through the app as if it were live and see your changes take effect immediately. While this makes understanding the logic of your app quite easy, it makes designing it a little more difficult. Say you wanted to change a block of text in the app. It would make sense that all you would need to do would be to click on it. This, however, doesn’t work. Because the app is “live,” clicking on anything takes you to the relevant section of the app. To make changes to sections, you need to use the navigation tools at the right which break the design process into different chunks such as menus, icons and sections. This takes a little getting used to, and requires more clicking around than the other apps mentioned here, but once you get the hang of it, the level of customization possible is truly impressive. GoodBarber also offers app checking tools, so that before you are ready to publish an Android version of your app for instance, it would give you a checklist of completed items and those that still need to be fixed (such as naming your app). The site offers a 30-day trial after which it costs $32 per month for an Android app and $96 per month for Android and iOS. GameSalad. 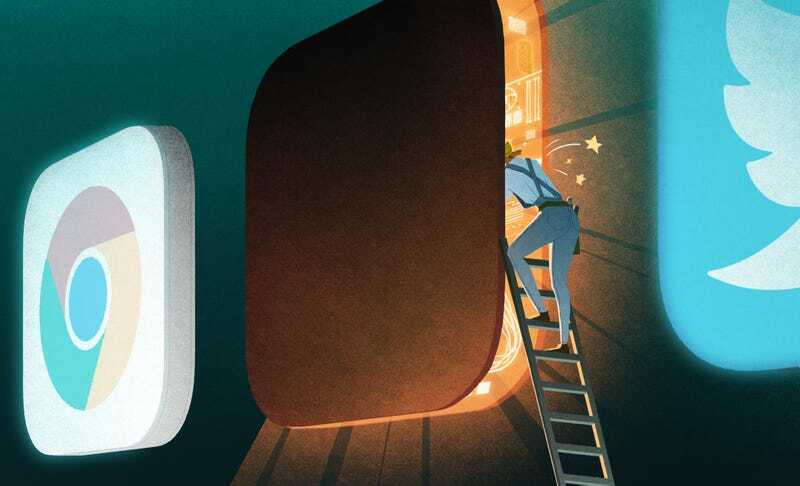 While information-based apps can help add value to your business, games offer you a chance to create an app that truly holds the potential to earn money. A quick look at the top-grossing iOS apps on website AppAnnie, shows that over half are games, with other top spots largely occupied by free entertainment and social media apps like Hulu, Netflix and Facebook. If you want to make your own game and try to sell it through iTunes or Google Play, GameSalad offers a great way to give it a go. Unlike the other app creators in this list, GameSalad consists of software you need to download to your desktop. The company says that you could create a game in as little time as an hour, but in reality, it will take a bit longer—even if you start with one of their pre-made but customizable games. The software isn’t quite drag and drop, so you’ll want to spend some time going through the video tutorials to get a hang for the system. When you are ready to publish your game, a fee of $29 per month will get the job done and let you publish to all the major platforms including Android and iOS. I don’t collect too many things, but I do enjoy collecting pocket knives. Ever since I was a kid, I’ve been fascinated by them. I loved rummaging through my dad’s treasure box and looking at his collection, dreaming about the day I’d own a knife of my own. That day came on Christmas when I was seven years old. In my stocking was a Boy Scout camper’s knife, the kind that had a blade and a can opener. I carried that thing with me as much as I could. My fascination with knives continues today; I love seeing what knives other men carry and checking Huckberry to see what new blades they’ve got in stock. When I’ve talked to other men about pocket knives, they’ve shared this same fascination. What’s the appeal? For me, pocket knives are the apotheosis of form and function. They’re both aesthetically pleasing and extremely useful. I love the look and feel of an old Case pocket knife with its handsome faux bone handle. Even the simple design of the Swiss Army knife evinces a distinct charm. Despite being an admirer and collector of pocket knives, I didn’t know much about them. How does the blade stay open when I’m using a knife? Why are there different blade shapes in my trapper knife? I wanted to move beyond simply thinking pocket knives were cool to really understanding their features and inner workings, so I set out on a research project. If you find yourself in the same boat, here’s what I learned about these incredibly useful everyday carry tools. There are many different kinds of pocket knives and below we describe all the major types, as well as offer a little history as to how they came to be. Note that we mention various types of blades throughout; if you don’t know what a particular blade is, don’t worry, we’ll cover those in the next section. Pocket knives have been around a surprisingly long time. Well, technically these first versions weren’t actually pocket knives because pockets didn’t become a thing until the 17th century. These proto-pocket knives were small and folded which made for safe and easy carrying. Blades were made from iron or bronze and handles were made from bone or wood. A bone handle folding knife dating from 600BC has been found in Austria while several pre-Roman folding knives have been found in Spain. Unlike modern pocket knives, the blades of these ancient precursors didn’t lock in place. They merely swiveled on a pivot. Keeping the blade open required the handler to hold the blade with the tang. It was a lot like holding a modern straight razor. While small folding knives existed thousands of years ago, the difficultly of producing iron made them expensive and hard to come by, precluding their becoming a common EDC item for our ancient ancestors. It wouldn’t be until the 1650s that the folding knife would become a ubiquitous tool. Around that time, Sheffield, England became the cutlery center of the world. Thanks to improvements in smelting technology, knives could be mass-produced on the cheap. One popular design was a simple folding knife with a wooden handle that farmers, herdsmen, and gardeners used. Because of the class of people who used this knife design, it became known as the peasant knife. It was also known as the penny knife because of its low price. 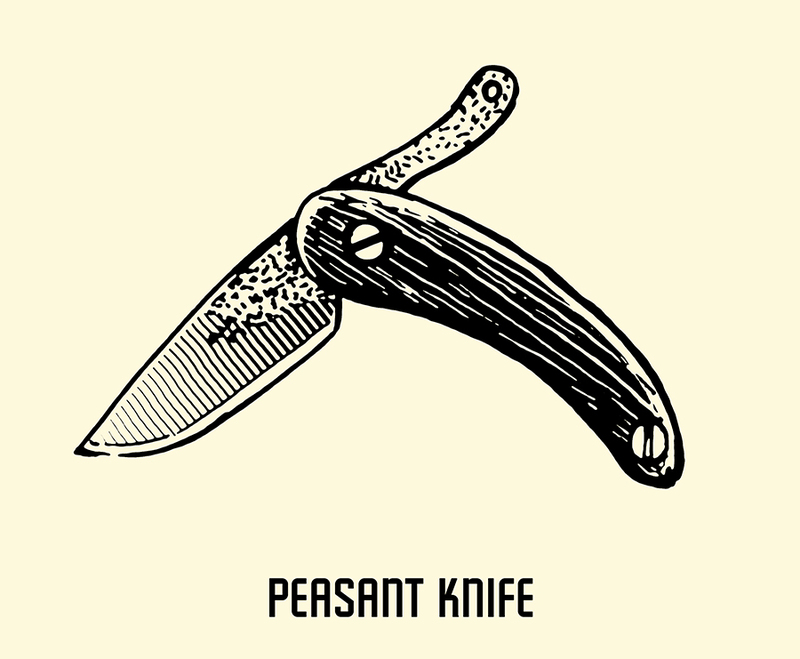 Like ancient proto-pocket knives, the peasant knife had no locking mechanism. To keep the blade in place, the tang of the blade would fold back into the handle, and the user would hold both the tang and the handle together. Some peasant knives just relied on the friction between the blade and the handle to keep the blade in place. 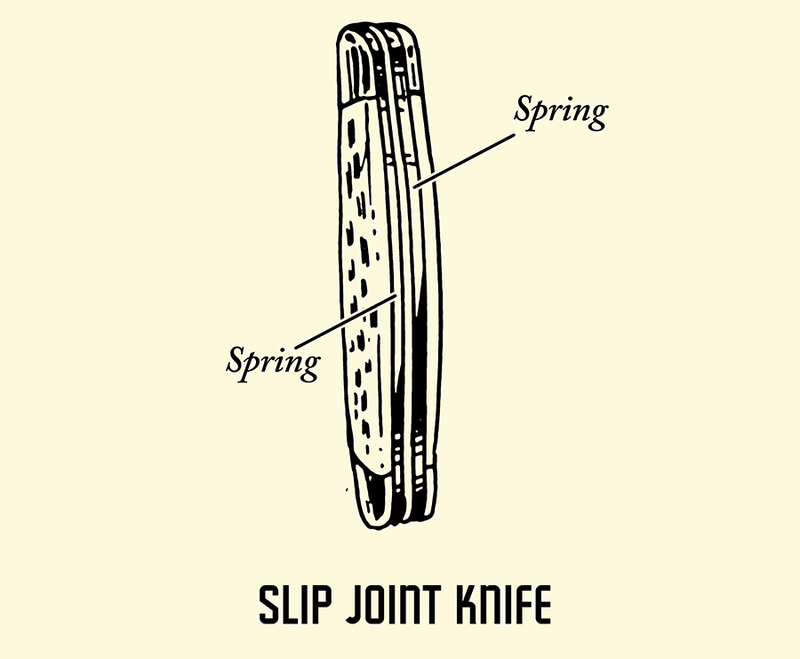 The famous Opinel knife is like this. While this set-up worked for light knife work, the chances of the blade slipping and folding back in on one’s fingers increased as the work became heavier. Recognizing the danger of relying solely on friction to keep the pocket knife’s blade open, cutlers in England began experimenting with modifications that would lock the blade in place while in use and keep it closed when it wasn’t. Around 1660, folding knives with a slip joint began making an appearance. On one side of the handle, you’ve got your blade that pivots around a joint. On the other side of the handle, there’s a flat bar called a backspring. When you rotate the blade open, the blade’s tang rotates against the backspring. The pressure of the backspring against the metal keeps the knife open. The barlow was created in England by a guy whose last name was, you guessed it, Barlow. The design features an elongated oval handle and typically a clip point and pen blade. 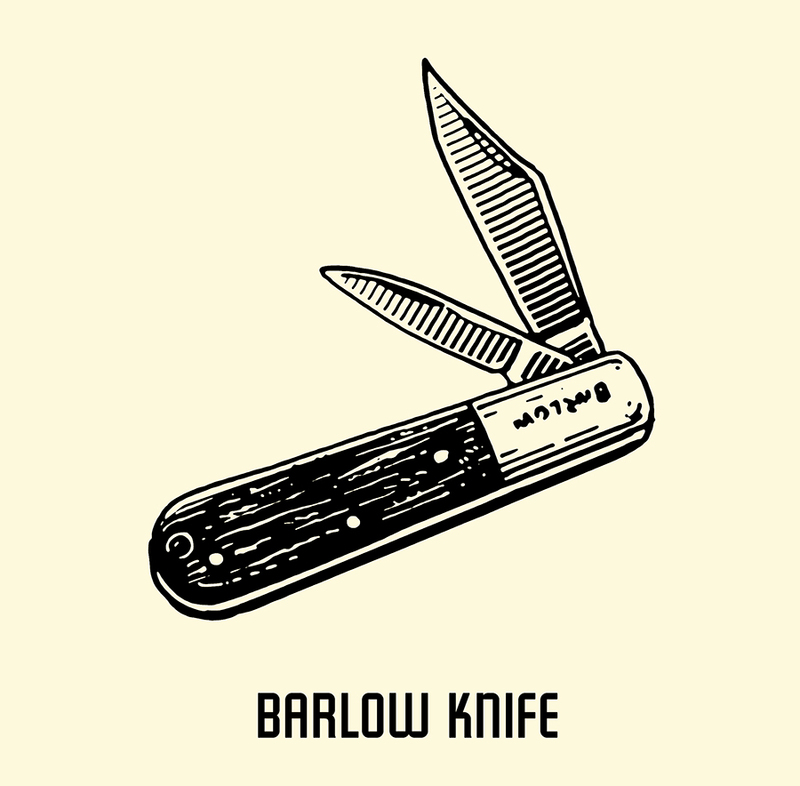 While the barlow was invented in England, it became a favorite pocket knife in the United States. According to Mike Yarbrough, the author of The Guy’s Guide to Pocket Knives, George Washington’s mother supposedly gifted her young son with a barlow for good behavior. Click here to see examples of barlow knives. If you were ever a Boy Scout, you’ve likely owned a camper knife. 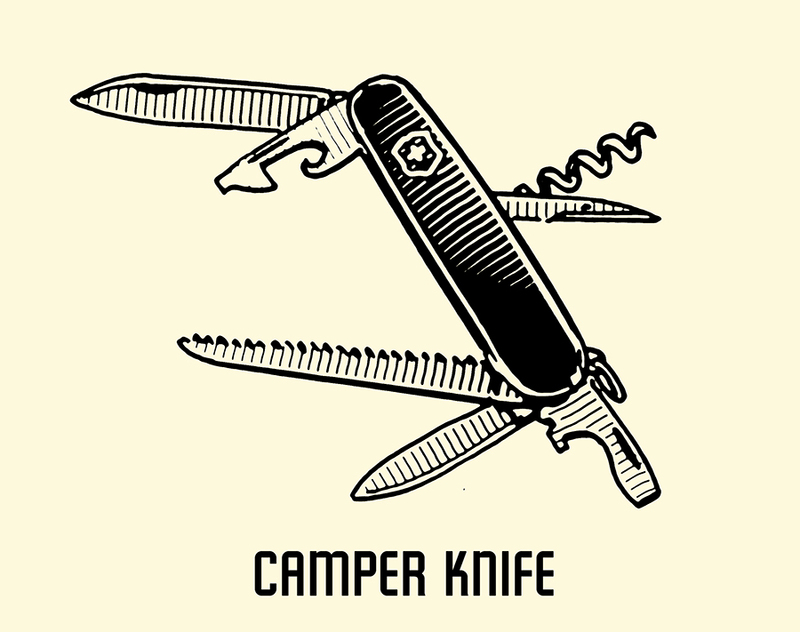 Besides having different types of blades, camper knives also have various tools that could come in handy while spending time in the great outdoors: a can opener, scissors, screwdriver, etc. Also called a multi-tool knife. The Swiss Army knife is the most iconic of this type of pocket knife. 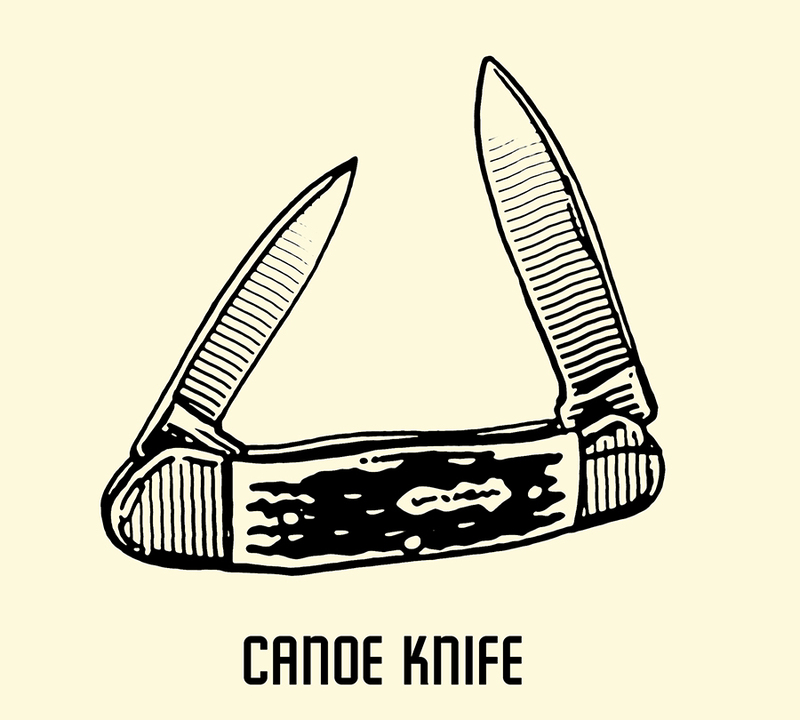 The canoe knife gets its name because it looks sort of like a canoe. It typically has two different blades. The most common combination is a drop point blade paired with a pen blade. Click here to see examples of canoe knives. The congress is a classic slip joint pocket knife that sports four blades — most typically the spear point, sheepsfoot, coping, and pen blades. Abe Lincoln carried a congress with him back in his rail-splitting days. 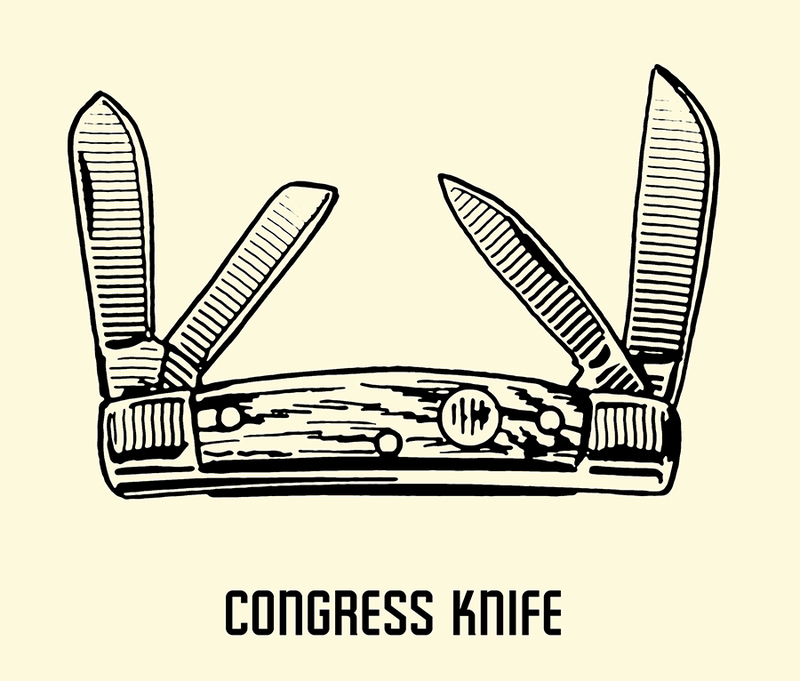 The congress supposedly got its name because all the blades form a congress, i.e., they all come together in the middle of the knife when closed. Click here to see examples of congress knives. The peanut gets its name from its small size. This knife usually has two blades: a clip point and drop point on the same end. 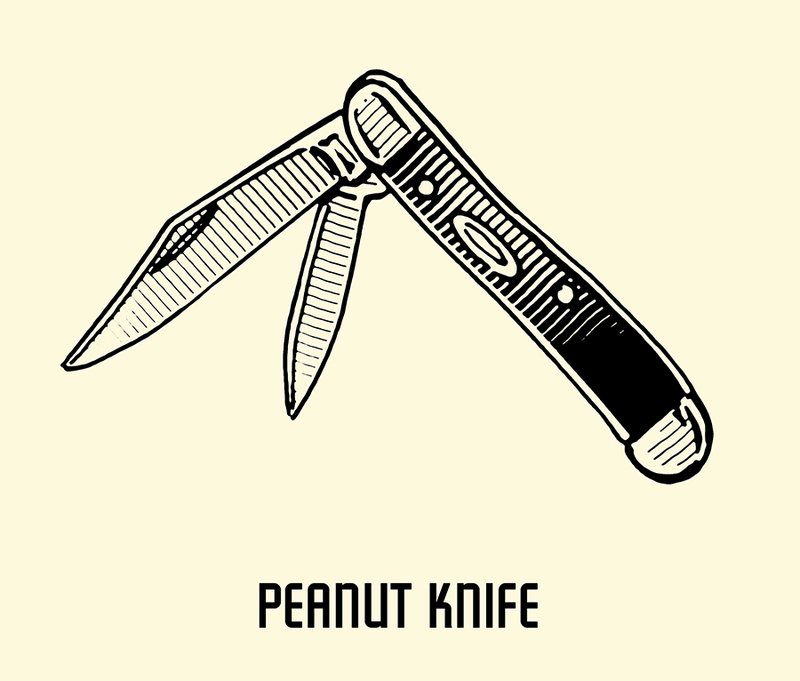 Click here to see examples of peanut knives. Back when people wrote with quill pens, one had to create a point on their quill before writing. To facilitate this delicate work, cutlers developed specialty pen blades. These pen knives originally had a fixed blade, but to make things even more convenient for the gentleman scholar, a folding pen knife was developed, so he’d always be ready to write when inspiration struck. 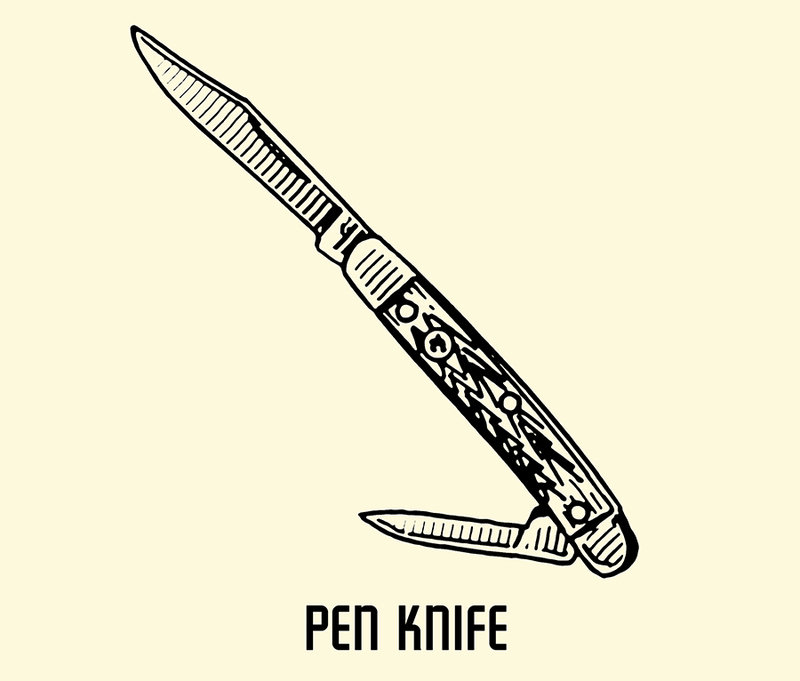 In British English, pen knife is the word for any kind of multi-bladed knife or tool. 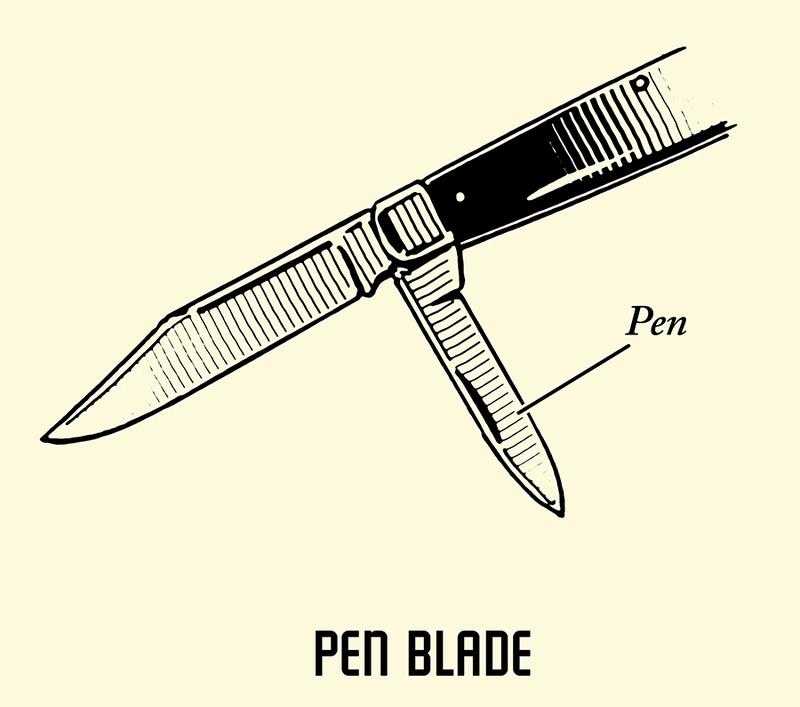 But a traditional pen knife is a small pocket knife with two blades pivoting on opposite ends, with one of them being the traditional small pen blade. It has a low profile and doesn’t stick out when in your pocket, making it an ideal pocket knife to carry when wearing a suit. Click here to see an example of a pen knife. A working man’s pocket knife with a single blade. Its affordable price makes it a great “beater” knife. Consider it the modern-day peasant knife. 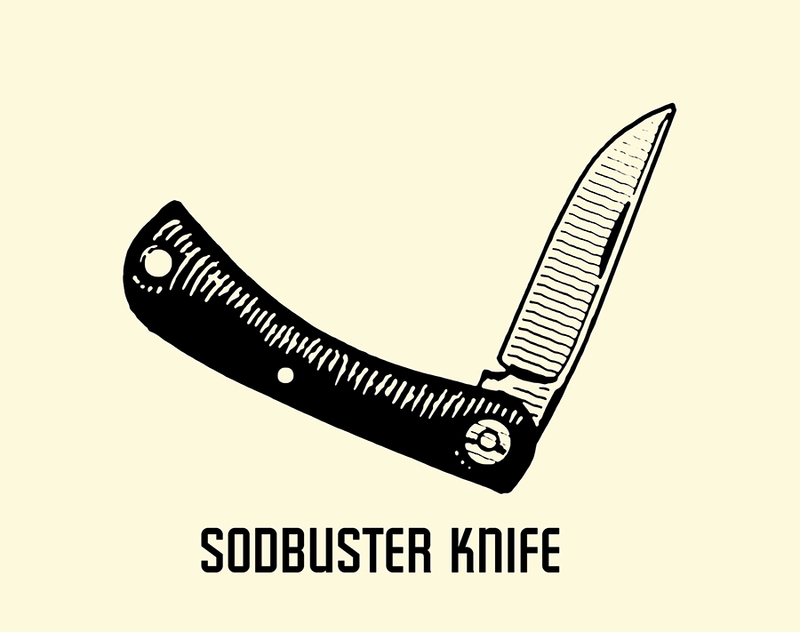 Click here to see examples of sodbuster knives. 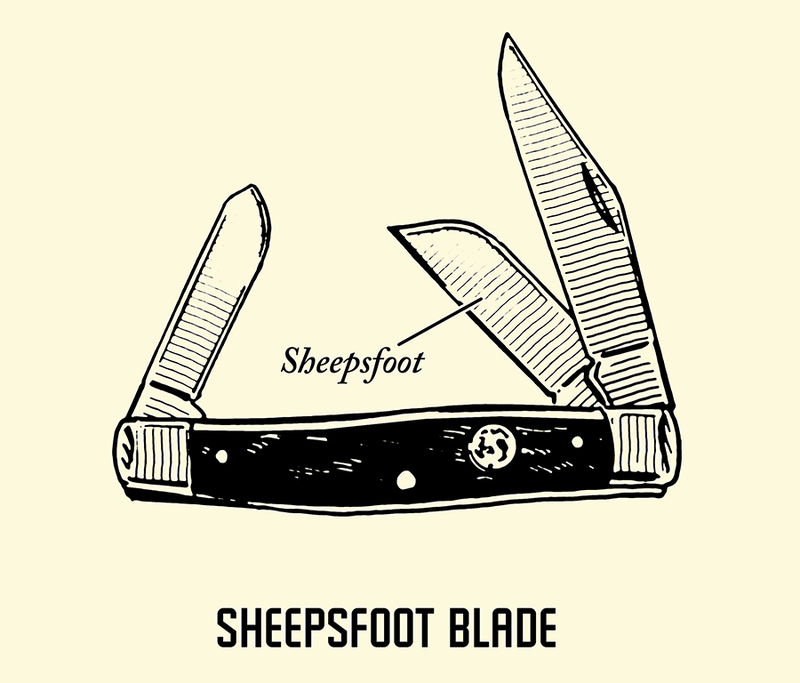 Supposedly developed for cowboys and other herdsmen, the stockman is an American classic and includes three blades: clip point, sheepsfoot, and spey. 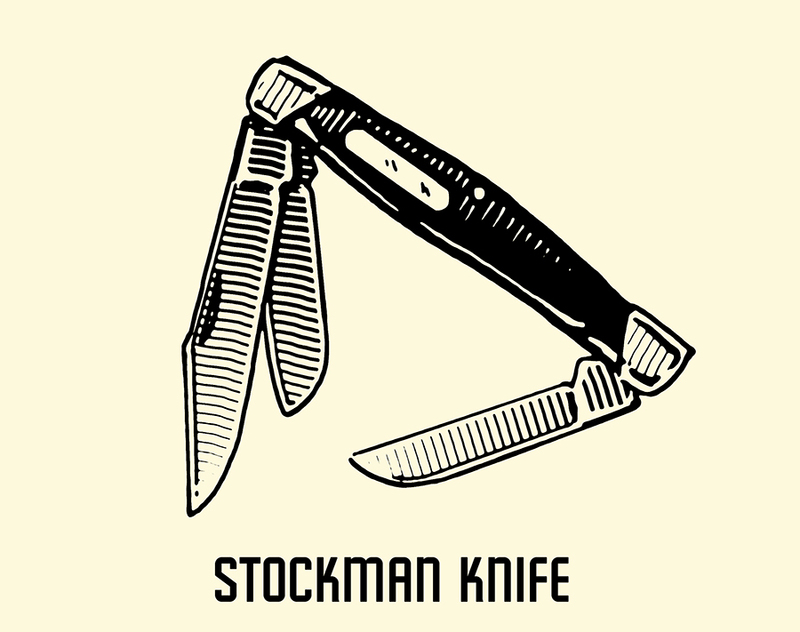 If your grandfather or father gifted you a pocket knife, chances are it was a stockman. Click here to see examples of stockman knives. 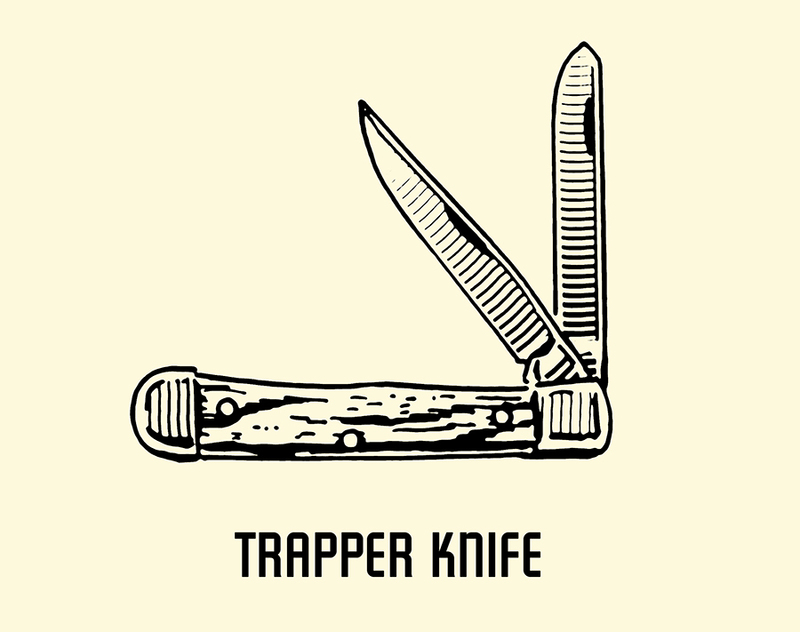 The trapper was developed for, well, trappers. It has two blades that trappers would find handy while skinning hides: clip point and spey. These two blades hinge on the same side. The AoM Pocket Knife is a trapper. Click here to see more examples of trapper knives. While the slip joint knife reduces the chance of a blade folding back up on you while in use, it doesn’t eliminate the risk. Around the same time that cutlers were developing the slip joint knife, they were also experimenting with lock blade folding knives. 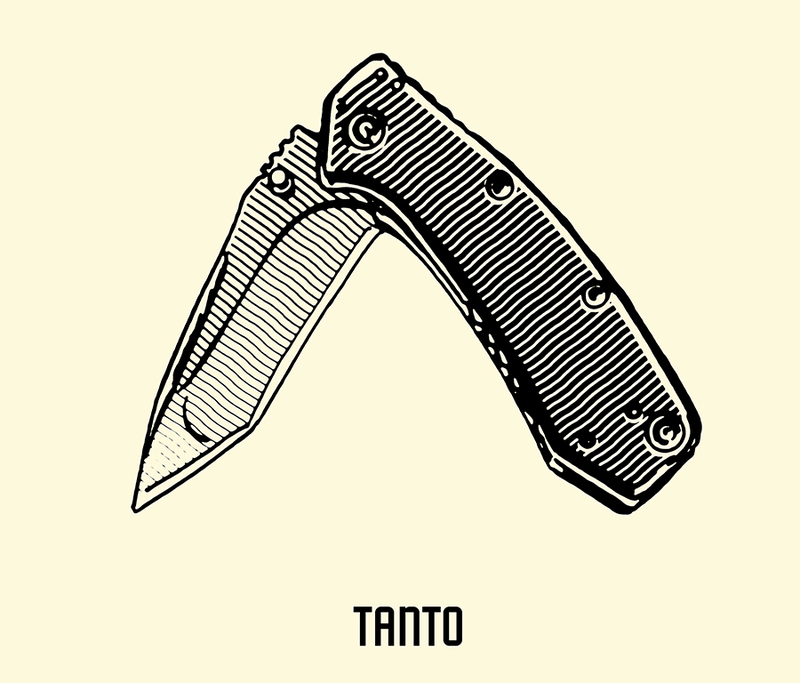 The first folding knife with a locking blade was invented in Spain in the 1600s, but it would take over 300 years for the lock blade pocket knife to become a standard fixture in the world of cutting tools. For the eventual spread of this type of knife, we have a fella by the name of Al Buck to thank. Al owned a knife company with his father, Hoyt. During WWII, H.H. Buck and Son made fixed blade knives for American GIs. When these soldiers returned home, they went to Buck for their civilian use knives. Since civilians don’t have much need for a giant fixed blade knife on a regular basis, Al began developing a folding pocket knife that provided the stability and security of a fixed blade knife. In 1964, he introduced the world to a legend: the Buck 110 Folding Hunter locking blade knife. Also known as the Buck knife. 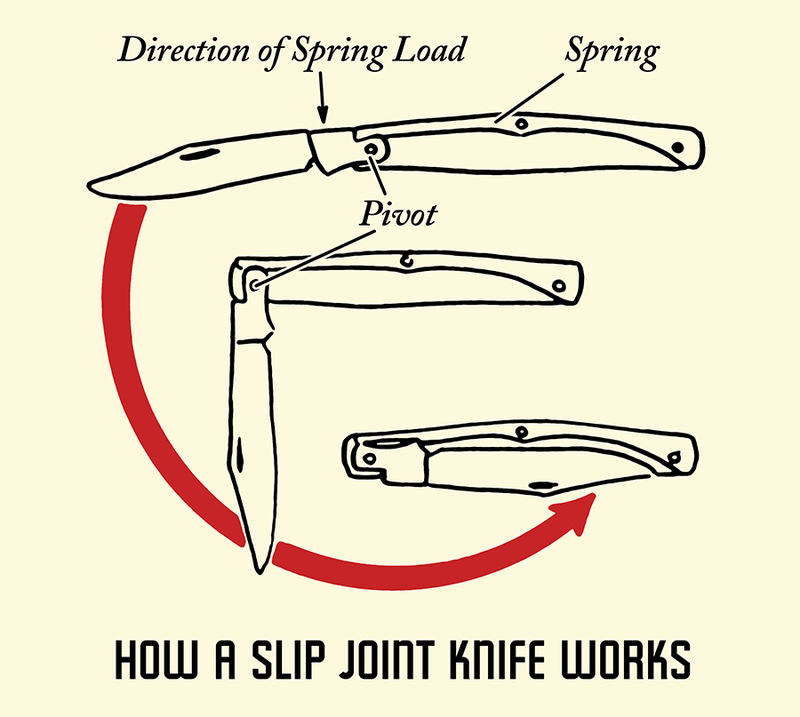 Like a slip joint knife, a locking blade knife has a strong backspring located along the back of the knife. But here’s the difference: on a locking blade knife, the backspring has a small hook that snaps into a corresponding notch in the blade’s heel when the blade is fully open. That locks the blade in place. 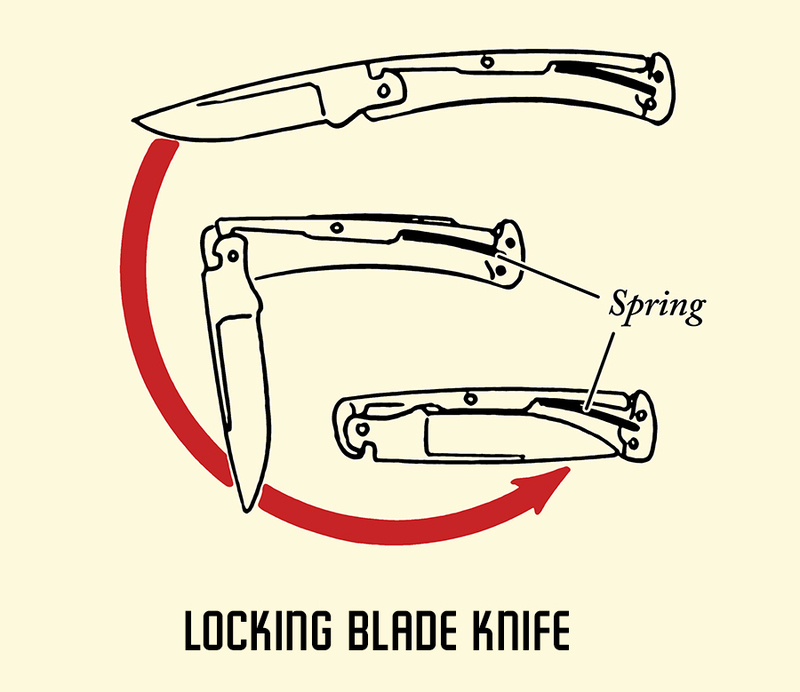 To release the backspring’s hook from the blade’s heel notch, you have to apply pressure to the spring located near the end of the knife handle. Because the Buck company never patented its knife innovation, companies around the world began to implement the design in their own folding knives. My favorite locking blade knife is one from Santa Fe Stoneworks. It’s got dinosaur bone in the handle. How cool is that? Knives are standard issue to soldiers around the world. However, when a recruit is outfitted and equipped, he’s usually given a fixed blade knife instead of a pocket knife. When you’re out on the battlefield, you can simply draw your fixed blade knife, and you’re ready for action. To ready a folding pocket knife, however, you’ve got to stick your fingernail in the nail nick of the blade while you hold it in your other hand. Since you have to use both of your hands to open the blade, pocket knives just aren’t very handy in a do-or-die situation. To remedy this issue, knife manufacturers put a thumb stud on the blade that allows the user to open it with one hand. Instead of a thumb stud, Spyderco put a large thumb hole in the blade. To open the blade, you press the pad of your thumb into the hole and rotate it open. Besides making the blade easier to open, knife companies made tactical folding knifes easier to get to by putting a clip on the handle. (Spyderco claims to have been the first to do that.) Instead of burying your hands in your pockets and digging around until you find your knife, a tactical folder clips to your pocket, giving you quick and immediate access to your knife. Additionally, tactical folding knives have blades that come in handy in tactical situations. Besides being sharp and clipped, the blade will usually also have a serrated edge that can be put to use in cutting through tough material. 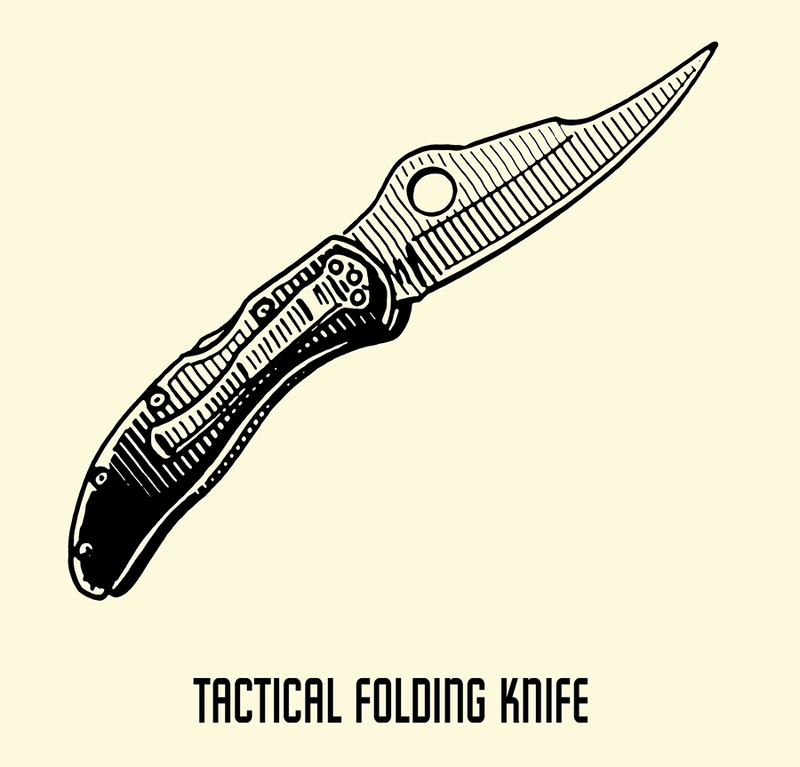 Click here to see more examples of tactical folding knives. The clip point is one of the most common blades you’ll see on pocket knives. 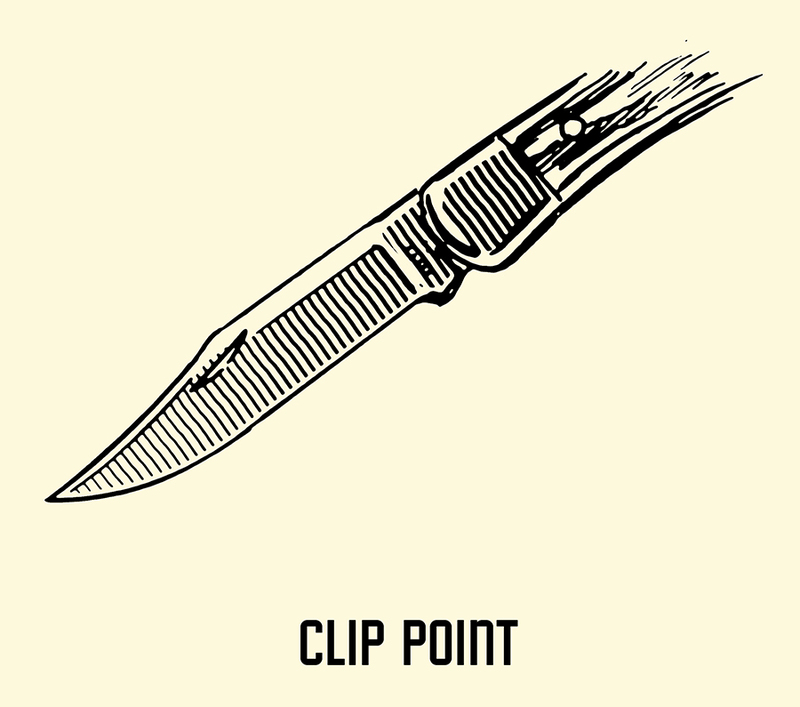 It’s called a clip point because the final third of the back of the blade is “clipped.” The clip can be either straight or concave. The clip point has a sharp, controllable tip that’s good for piercing. It also has lots of “belly,” or cutting edge. The disadvantage of the clip point is the tip isn’t very strong because it’s so narrow. A drop point blade has a straight spine until it gets near the tip. As you get closer to the tip, the spine slopes down to meet with the bottom of the blade at a sharp point. 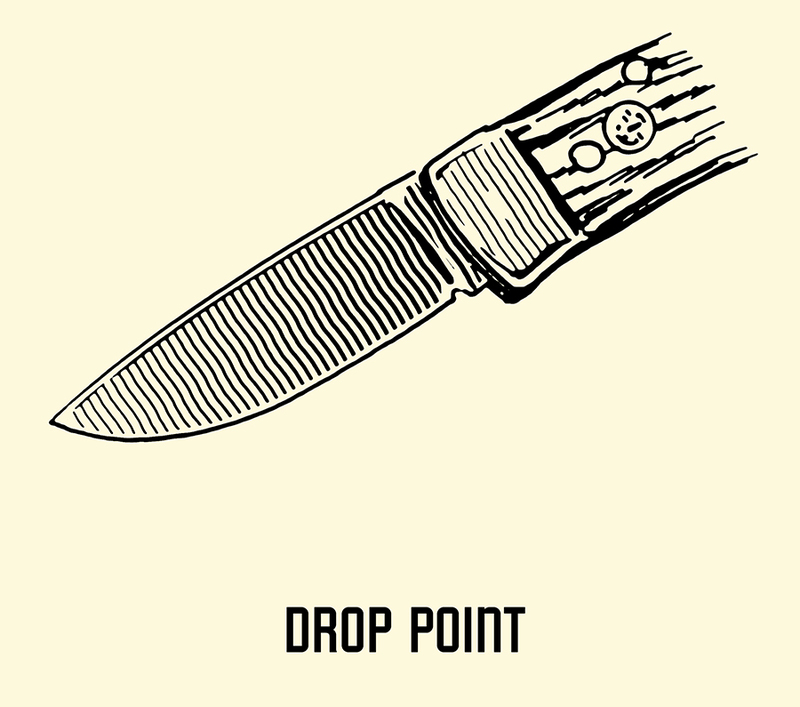 Drop point blades handle almost exactly like a clip point. The significant advantage of the former is that the tip is stronger than the latter because it has a broader point. While we no longer have to sharpen quills, many multiple-blade pocket knives still include a pen blade in the mix. It’s a small blade, and not very sharp, but comes in handy for tasks that require delicate work. The sheepsfoot blade was designed to help shepherds trim the hooves of sheep. It has a straight dull back that curves towards the edge of the tip. The cutting edge of the blade is straight and provides a large cutting surface. While I’m sure there’s still some shepherds out there using this blade for its original purpose, it’s become a popular blade among whittlers. You’ll find the spey blade on stockman and trapper folding knives. It was originally designed to help castrate and spay herd animals. Somehow “spay” got turned into “spey.” At least that’s how the story goes. The spey blade has a single sharp straight edge that curves upwards to meet a short, dull point. 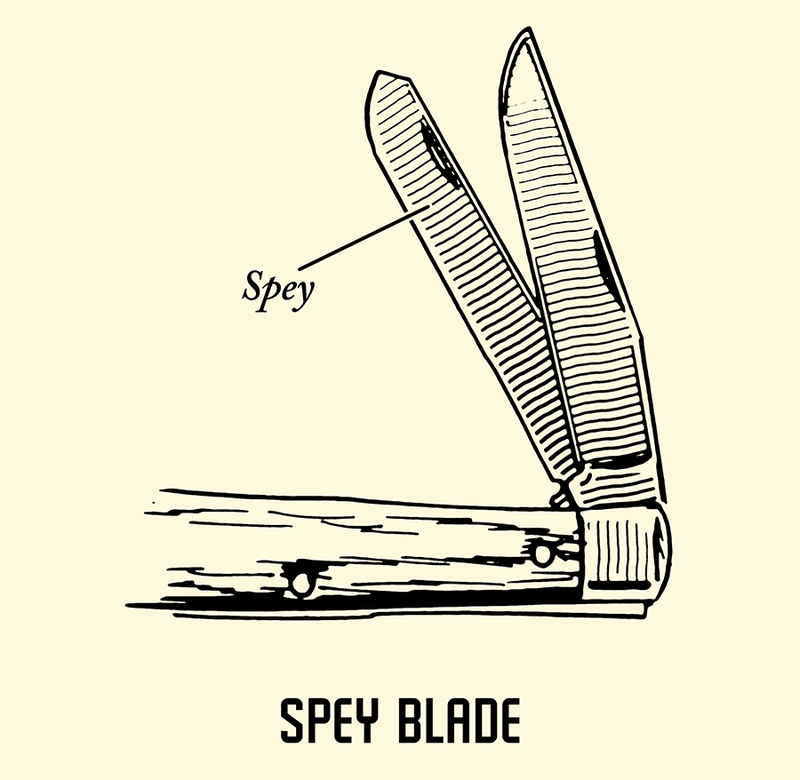 Spey blades can either be long or short. On trappers they tend to be long; on stockman knives, they tend to be short. A knifepoint popularized in Japan and seen on many tactical folding knives. They’re thicker than most pocket knife blades and have a very angular point. These features make it useful for stabbing and piercing materials like Kevlar and metal. 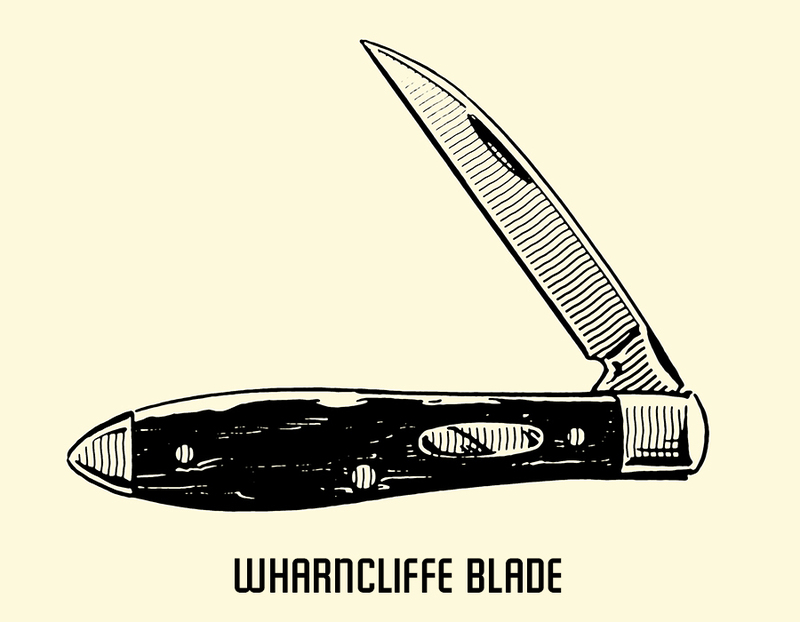 Wharncliffe blades aren’t very common, but you’ll still see them in some pocket knives. It looks very similar to sheepsfoot, but the spine meets the edge of the blade at a sharp point. It’s a popular blade among sailors. Picking a pocket knife is like choosing clothes. 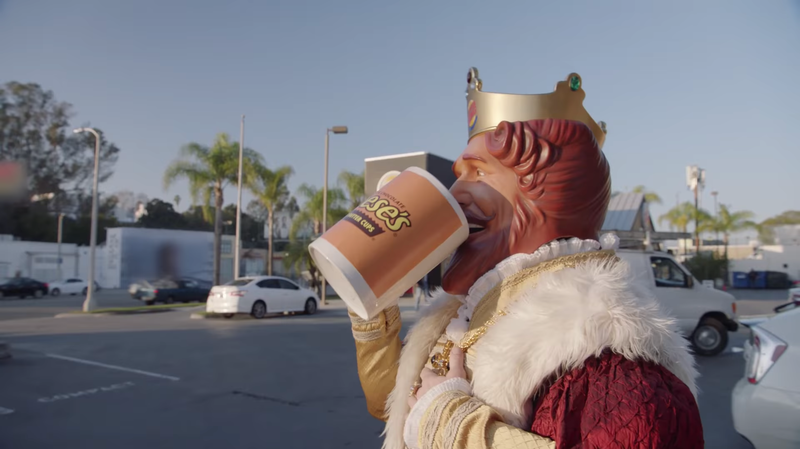 It comes down to your personal needs and tastes. If you’re someone who’s doing heavy duty work day in and day out and need a knife that you can open quickly, a tactical folding knife would be in order. If you just need a knife to open the occasional package or letter, a classy looking pen knife will do the trick. In the United States, very few laws regulate what pocket knives can be owned and how they can be carried. Switchblade knives are prohibited from interstate shipment and sale, so if you’re Johnny Cade, you’re out of luck. Many states have also banned butterfly knives and gravity knives from being sold, carried, and or even owned. Ten-year-old Brett thought that was a raw deal. What I would have given to have a sweet butterfly knife. I would have kept in the back pocket of my acid washed Bugle Boy jeans and worn a cool bandana around my head. Maybe even worn some leather gloves with the fingers cut off. I would have been the biggest little badass in Danforth Farms. Yeah . . . that would have been sweet. Anyhow, as long you as stick to your traditional pocket knife or tactical folder, you shouldn’t have much of an issue carrying a knife in the United States. Just make sure to leave your knife at home or in the car when you visit a federal or state courthouse and put it in your checked bag when flying. For our brethren living in the U.K. and other European countries, the legality of carrying a pocket knife is much more limited. In the UK it is illegal to carry a folding knife with a blade longer than 3″. If you’ve got a knife with a longer blade, you’ve got to prove “good reason” to carry it with you in public. “Good reason” could mean the knife is required for employment or a hobby. Even if your blade is shorter than 3″, you can only carry that knife with you if it doesn’t lock. So toting a handsome Buck knife would be out of the questions for Brits. 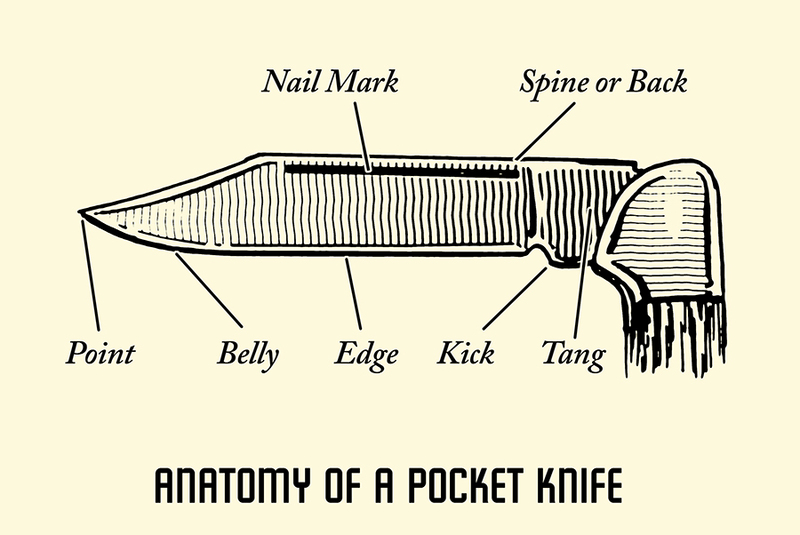 Now you know a little more about the pocket knives you’ve long admired. Keep on toting one with you every day, and be sure to keep it sharp. 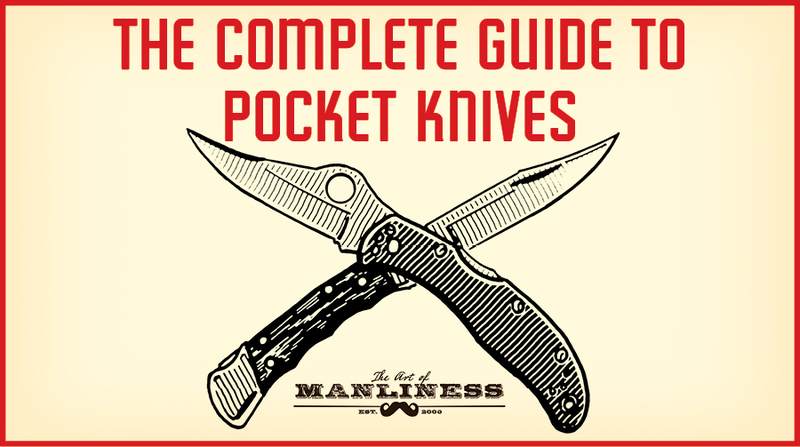 The post The Complete Guide to Pocket Knives appeared first on The Art of Manliness. Netflix has never made it easy to find stuff to watch. Considering how much data the company has about its users, the recommendations it throws out are disappointingly unimaginative and repetitive. It’s a shame because the amount of content on the service is mind-blowing. One only needs to look at some of the gems lurking behind the secret codes. One of the most interesting rimfire rifles I saw at the 2018 SHOT Show was the Ruger Precision Rimfire. While this bolt-action rifle shares some components with the company’s 10/22 rifle, it is not simply a redressed 10/22. 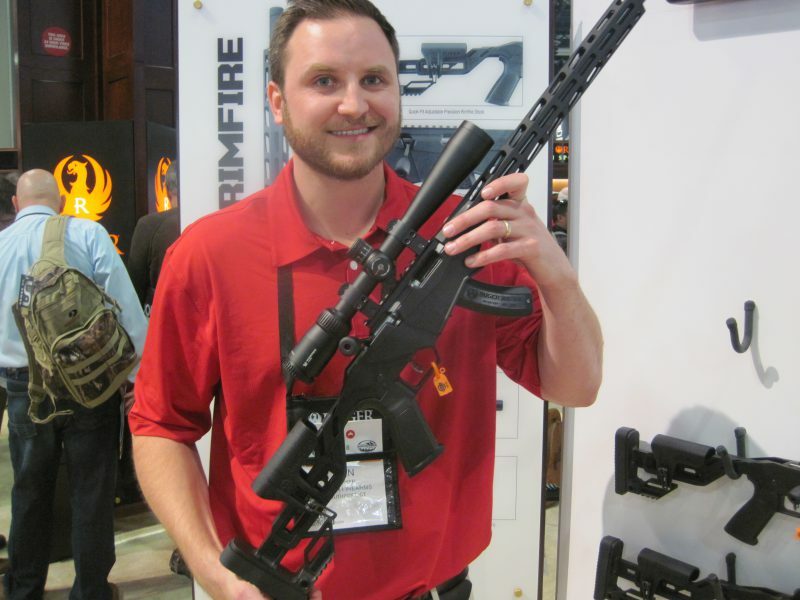 The Precision Rimfire is built on a chassis system and is designed to work as an under study training rifle for the centerfire Ruger Precision Rifle. In this video the designer of the Ruger Precision Rimfire discusses the thinking behind the gun, the engineering, and the feature set. Tina: People keep telling me you refuse to admit when you are wrong. Dilbert: It only looks that way because Im right most off the time and people are too dumb to know it. Tina: wow! They’re right about you being a narcissist, too. Dilbert: I refuse to admit I’m wrong about this. The tool pulls in its information from a variety of sources including Crunchbase, PitchBook, Twitter and others. It also uses basic machine learning to recommend investors depending on your bio and preferred industries. The tool was built by First Round Capital’s Yasyf Mohamedali as part of his master’s thesis at MIT. One of our favorite food geeks, Alex of French Guy Cooking, is at it again. This time, he breaks down the process of knife-sharping and looks at the tools involved, the physics involved, and he even does a little kitchen hack to create a stop for his whetstone on his sink divider.